Find the Liquid Metal Text Tutorial here. This one was made following the tutorial except for changing the text. Followed the tutorial but changed the font to Baskerville Old Face. Changed the font to Edwardian Script. I am looking for a nice look for Christmas activities. Still using the Edwardian Script I changed the font color to red. 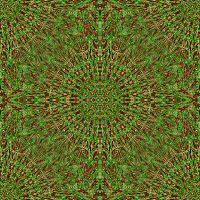 Added a background of a Pine Pattern by Noelle ( get it here.) and then a border made following the liquid metal tut. Started with Arial MT Bold Font size 55, and followed the tutorial as far as the curves. Added a couple of nodes and played with their settings till I liked the look. Using the same Pine Pattern by Noelle behind the letters I went to EC 4000/Jiggle and used the setting Brownian Motion/Bubbles 3.00/Warp Amount 30.00/Twist 75. Then added another layer underneath that and selecting a color from the background flood filled with that solid color. After merging those two lawers I went to Colorize and changed the color to red. Made a green border the same way. For better instructions on making your own tinsel go to Noelle's Tutorial How to create Gold, Silver and Colored Tinsel.